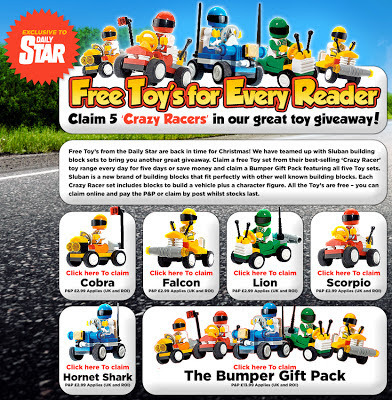 An unsolicited spammy email arrived in Dennis A's inbox on Monday courtesy of the Daily Star. Don't you just Love all those Superfluous Capitals? 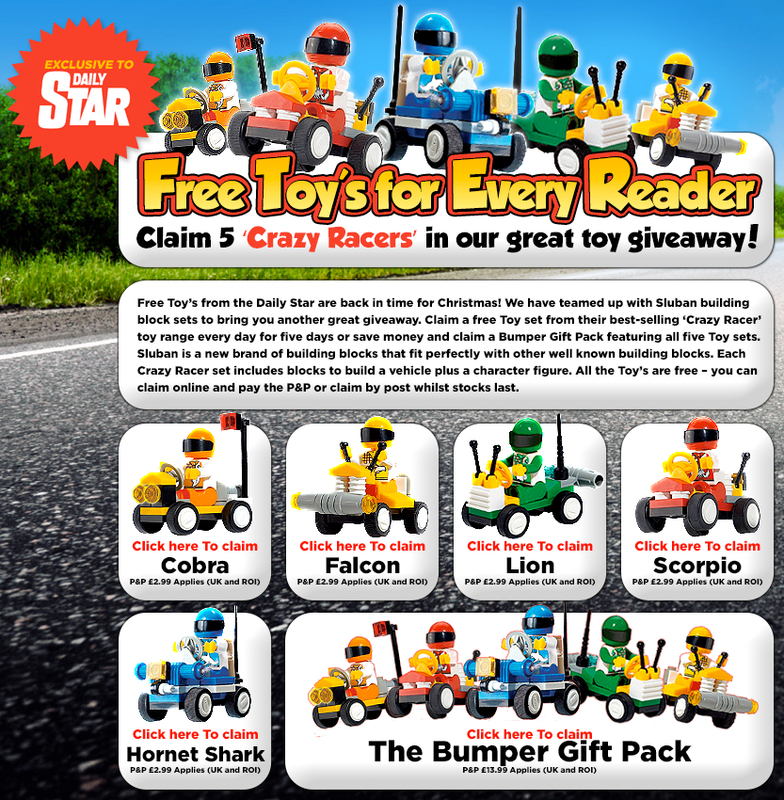 Anyway, as it says, this particular Free Toy is for Every Reader. I wonder how it's going to be divided up? Well, the Daily Star is owned by Richard Desmond's Northern & Shell company whose motto is 'Forti Nihil Difficile' which translates to: To the determined nothing is difficult. So go on then, Richard. Be determined. One toy. One and a half million readers. Show us how easy it is. Would that be the same Northern & Shell who publish Punctu-Asian Babes? I think we should be told.